Politically, housing has been a hot-button issue in California for years now, with candidates vying for various seats promising to somehow ameliorate the situation. 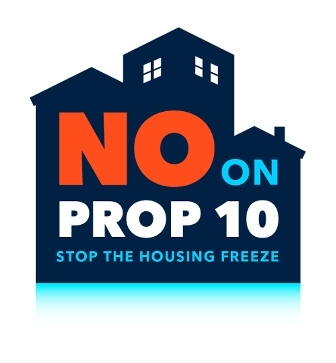 Proposition 10 is at the center of the heated debate around affordable housing in the state of California. The two front runners in this year’s race for governor, Gavin Newsom and John Cox, have publicly commented on the housing crisis, and neither of them supports a full repeal of the Costa Hawkins Rental Housing Act, which is what Proposition 10 would do if passed. Opponents of Prop 10 say that it will do more harm than good and are encouraging voters to say no to the measure in November. Proposition 10, a strict repeal of the Costa- Hawkins Rental Housing Act would give local governments the power to impose rent control on single family home owners. This would hurt, not help the most vulnerable, say members of the No on 10 Coalition, like the NAACP and the Greater Los Angeles African American Chamber of Commerce. African American communities, where property ownership is a pathway to wealth building would be disproportionately and negatively impacted say opponents. Specifically, the measure would repeal rent control exemptions on single family homes thereby allowing local governments to dictate what a home owner would be allowed to charge to rent out a room in their own home. Additionally, Prop 10 would allow proponents to take legal action against any city they feel is not imposing stringent enough rent control measures at tax payer expense. The impartial, non-partisan Legislative Analyst Office has predicted millions in losses to local general fund revenues, which means less funding for vital city services for those who need it most. Huffman and other Prop 10 opposers, could sound the financial death knell for homeowners who need the freedom to charge adequate rental rates in order to survive. Moreover, landlords could face property damage costs with little or no recourse. Passage of Prop 10 would also likely mean a severe decline in the construction of more housing in the Golden State, which is sorely needed. Instead, she explained, governments should focus on more appropriate legislation, like giving incentives to builders of affordable housing, which is what the Costa Hawkins Rental Housing Act was originally intended to do. Proponents of the measure are saying that housing in the state is a matter of social justice and public health. "From a social justice point of view," said Michael Weinstein, of the AIDS Health Foundation, one of the leading proponent groups. "We are seeing mass displacement... and we feel like shelter is the most basic right and people are being deprived of that and we don’t believe that the marketplace can handle providing shelter to everyone who needs it. From a public health point of view, we see our clients being rendered homeless or being pushed further and further out from where our healthcare centers are." Michael Weinstein was the primary backer of the controversial Measure S in Los Angeles, which was opposed by both organized labor and business and was overwhelmingly defeated by voters at the ballot box. It seems that Michael Weinstein and the AIDS Health Foundation is attempting once again to thwart housing construction not only in Los Angeles but statewide this November. Those against the measure say that it will actually do nothing to help renters. 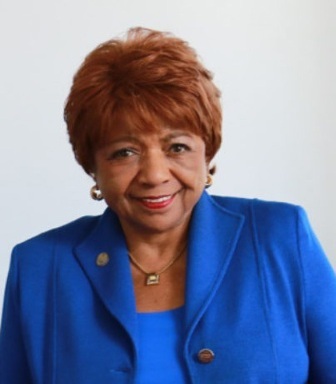 “The biggest flaw of Prop 10 is that it doesn’t take into consideration income limitations,” explained Greater Los Angeles African American Chamber of Commerce Vice-Chair and member of the No on 10 Coalition, Jamarah Hayner. Meanwhile, people who are not making that level of income are still being priced out. Prop 10 will not change that. Like Huffman, Hayner says that governments would do better to focus on increasing construction of new housing units and setting aside properties for low income housing. “The only way out of the housing crisis here is to build more housing and to support initiatives that actually put funding toward building more affordable housing,” she said. So far, opponents have out-raised the proponents three to one, with a little over $12 million compared to about over $30 million for opponents. Proposition 1 would authorize $4 billion in bonds for affordable housing programs, loans, grants, as well as housing loans for veterans. Proposition 2 would authorize the state to use revenue from a 1 percent tax on income above $1 million, which was enacted in 2004 to provide funds for mental health services, on homelessness prevention housing. Proposition 5 would remove restrictions on allowing seniors (ages 55+) and persons with serve disabilities to transfer their tax assessments, with a possible adjustment, from their prior home to their new home. Sponsors of Propositions 1, 2, 5, and 10 all argue that their ballot measures would help address the housing situation in California, such as rent prices, real estate values, and available housing. Voters will decide on Nov. 6.